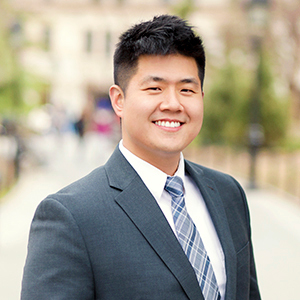 Marshal Li always has his clients' needs and best interests in mind; it's never about him. His deep appreciation for enhancing one's life and financial situation through real estate rings true in every transaction he facilitates. He has witnessed this potential firsthand, with his family in construction and real estate, and through owning/managing investment properties. His own personal ambition of always moving forward and growing what you have inspires him to help his clients succeed. An award-winning real estate agent, and a lifetime resident of New York City who has seen neighborhood landscapes change and evolve, Marshal stands above with his intimate market knowledge. When he first entered real estate, he was a listing/landlord/rental specialist; and he continues to work well with owners, sellers and landlords because he understands their needs. Marshal ranked as a top agent in rental transaction volume at his previous firm, and is poised to excel at Compass where he specializes in all facets of real estate, from residential sales and rentals to investments and commercial leasing. Whatever the demand, he'll develop a proven action plan and results-driven marketing strategy. As strategic and business-minded as he is, Marshal is also praised for his ability to relate to people. Clients appreciate that he can visualize himself in their shoes and find creative ways to get them what they want. This intuitiveness, problem-solving mindset and customer centric thinking were honed while working in the field of pharmacy. Marshal also holds a degree in Psychology, earned at Hunter College, which further enhances his insightfulness. Outside of real estate, Marshal spends his free time helping others. He volunteers with Community Solidarity, a nonprofit vegan organization that partners with stores like Trader Joe's and Whole Foods as well as CSA's, taking the excess food they donate directly to the poor and those in need. His other big passion is music. Marshal plays the piano, saxophone and dabbles with music production when he finds the time. Marshal has an extensive collection of hi-fi audio equipment. He loves to listen and hear the subtlest detail in every track of music.